Mahwah, New Jersey―On September 9 through October 16, 2015, The Ramapo College Art Galleries will present an ambitious mid-career survey exhibition by artist Victor Davson. The exhibition spans 30 years and five bodies of work that move back and forth between abstraction and figuration. Davson’s work is heavily influenced by the anti-colonial politics of the Caribbean, and by the intellectual powerhouses of that period. These include extraordinary writers and activists like Martin Carter, Frantz Fanon and Walter Rodney. Since 1996, his series of paintings and drawings, which include the Limbo/Anansi drawings, Bad Cow Comin’ paintings, and his most recent paintings on long playing vinyl record album covers, are his attempt as an artist to negotiate the roots of identity in a terrain of loss and desire. All of these series are a response to his strong memories from his childhood in Guyana of a folk performance in which the participants masqueraded from house to house on Christmas Day. He sees these carnivalesque characters as metaphors for people of the African Diaspora who have survived because of their resiliency. Monday, September 28, 2 pm Kresge Gallery: Jim Haba, Founding Director of The Geraldine R. Dodge Poetry Festival reading from T.S. Eliot's Four Quartets and Trinidadian-born, Queens-bred visual artist and poet Cheryl Boyce- Taylor reading selections from her poetry. Friday, October 16, 8 pm, Sharp Theater, Berrie Center: Concert with Canadian vocal musicians FreePlay Duo interpreting music by figures represented in Davson's Dub Factor/Heroes series. Tickets: $28/25/22; children under 17: $18. Galleries are open pre-performance from 6 - 8 p.m.
Victor Davson is a practicing artist and founding director since 1983 of Aljira, a Center for Contemporary Art in Newark, New Jersey. He was born in Georgetown, Guyana and since immigrating to the United States in 1973 he has received a BFA degree from Pratt Institute, Brooklyn, New York; co-founded Aljira, a Center for Contemporary Art; and established himself in his practice as an artist. Notable solo exhibitions include Dub Factor Redux, Maplewood Art Center, Maplewood, NJ; Bad Cow Comin': Recollections and Transformation, Rush Arts Gallery, New York, NY; Hero and Monster, The Tomasulo Gallery, Cranford, NJ; Bad Cow Comin' and Limbo/Anansi, DHR Gallery One, Newark, NJ; Bad Cow Comin’: Recollections, Tompkins College Center Gallery at Cedar Crest College, Allentown, PA; and The Chain Link Series, Jersey City Museum, Jersey City, NJ. Notable group exhibitions include African-American Artists and Abstraction, Cuban National Museum, Havana, Cuba; Timehri Transitions: Expanding Concepts in Guyana Art, The Wilmer Jennings Gallery at Kenkeleba House, NYC; Contemporary Expressions: Art from the Guyana Diaspora, Five Myles Gallery, Brooklyn, NY; Drawn to New York, The Bertha V.B. Lederer Gallery, State University of New York, Geneseo; This Twittering World, Francis Kyle Gallery, London, England; African American Artists from the Permanent Collection, The New Jersey State Museum, Trenton, NJ; Present Continuous, Nathan Cummings Foundation, New York, NY; La Línea: Dibujos Contemporáneous, Museo de Art Moderno de la Replublica Dominicana, Santo Domingo; Diverse Representations II, Morris Museum, Morristown, NJ; The Act of Drawing: Medium/Method/Meaning, Tompkins College Center Gallery at Cedar Crest College, Allentown, PA; and Jonction Internacional, Nice, France. As executive director of Aljira, a Center for Contemporary Art, Davson leads a vital hub for creative excellence in Newark New Jersey’s downtown arts district. Notable highlights in the organization’s history include: the founding of Emerge, a professional development program for visual artists; the founding of Aljira Design, a graphic design studio that for eighteen years earned revenue to support the organization’s exhibitions and public programs; an invitation to organize the United States representation at the IV Biennale International de Pintura in Ecuador; a major award from the Andy Warhol Foundation for the Visual Arts—becoming one of only eight institutions nationwide selected to participate in the foundation’s second year stabilization initiative for small to midsize organizations; and designation as a Major Arts Institution by The New Jersey State Council on the Arts every year since 2003. He is a past trustee of Art Pride New Jersey and a current member of the Advisory Council of the Brodsky Center for Innovative Editions. The Ramapo College Art Galleries present an international schedule of contemporary exhibitions and programs. 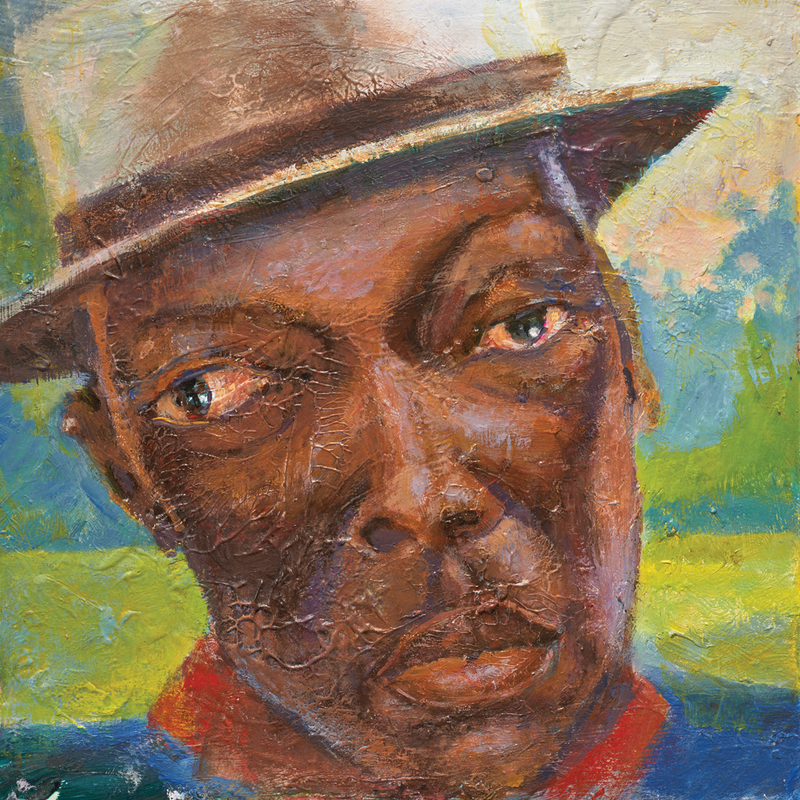 It is home to one of the largest and most historically important collections of Haitian and related self-taught art in the world, housed in the Selden Rodman Gallery of Popular Arts. A brief list of high-profile artists shown includes Henry Darger, Cindy Sherman, Kehinde Wiley, Yoko Ono, Luis Cruz Azaceta, Joan Semmel, Whitfield Lovell, Alighiero Boetti, Loretta Lux, Chris Verene, Ceal Floyer, Hector Hyppolite, Mona Hatoum, Robert Rauschenberg, John Coplans, Ming Fay, Ant Farm, Nalini Malani, Kara Walker, Sophie Calle, Sally Mann, Peter Schumann, Liza Lou, Allora & Calzadilla, Catherine Opie, Radcliffe Bailey, Cathy de Monchaux, Duane Michaels, Sherrie Levine, Tony Oursler, Nancy Spero, Howard Finster, Andy Warhol, Lalla Essaydi, Michael Snow, and Wangechi Mutu. The Kresge and Pascal Galleries are located in the Berrie Center for Performing and Visual Arts. Ramapo College is located approximately 40 miles outside of New York City at 505 Ramapo Valley Road, Mahwah, NJ 07430. For directions, visit our website at www.ramapo.edu/berriecenter. The Galleries are open Tuesday, Thursday, and Friday from 1 to 5 p.m. and Wednesday from 1 to 7 p.m. For more information call 201.684.7147.